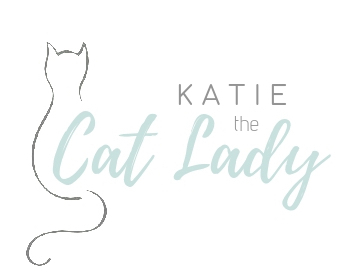 My name is Katie and I’m…you guessed it…the Cat Lady! I grew up right here in Westchester and began pet sitting for neighbors at the young age of 8. My family adopted our first cat, Pepper, when I was a little girl and the rest is history. After graduating from the University of Miami with degrees in psychology and sociology, I founded Paws Miami Corp, a dog walking and pet sitting concierge. I’m immensely proud to say I built the company to be the city’s largest and highest ranked pet care company within it’s first two years in business. During my time in the South, I was actively involved with rescue transport groups and shelters in Miami-Dade, and upon later moving home to my family in NY, I founded From Hope to Home Animal Rescue in Mahopac, a feline rescue specializing in neonates/newborns, orphan kittens, and socialization of feral kittens. I’m a Certified Trap-Neuter-Return (TNR) Caretaker in NYC and am a strong advocate for spay/neuter/release practices. I’ve loved and cared for animals for 17 years, am highly knowledgable on different animal temperaments, breeds, and special medical needs, am pet CPR certified, and carry extensive references from my previous business venture. Additionally, I have been a member of the National Association of Professional Pet Sitters, Pet Sitters International, and am fully bonded and insured by Pet Sitters Associates. I am currently working towards becoming a CFTBS (Certified Feline Training & Behavior Specialist). I can only imagine your pets mean just as much to you as mine do to me. I look forward to the opportunity to provide reliable, trustworthy, and professional care to your little family members, just as if they were my own.